Album Preview: The Game "The R.E.D Room"
We got a chance to check a rough version of The Game&apos;s upcoming release, The Red Album, that&apos;s slated to drop July 29th. Although he had a variety of producers on The Red Room mixtape that just dropped, as we feared, the album itself is dominated by Pharrell, who&apos;s also executive producing the project. We&apos;d have been all for it if it was Skateboard P bringing that Lord Willin&apos; murda music—but here it&apos;s more of the underwhelming "Unless You&apos;re The Clipse, Give Me Half Your Budget And I&apos;ll Give You A Throwaway Beat" P of the last few years. 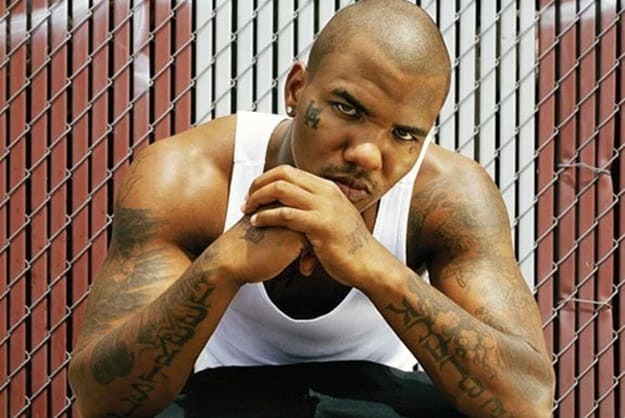 At least after a few years of being estranged, Game has reunited with Dr. Dre. It&apos;s also worth noting that the version we heard is missing two tracks: one rumored to feature Lupe Fiasco, and the other supposedly with assists from Jay Electronica and Nas. Get an idea of what The Red Album will sound like with Complex&apos;s track-by-track breakdown.